We have finally come to the end of a gripping and dramatic American Presidential Election, played out over global media channels while the world watched in shock and awe. 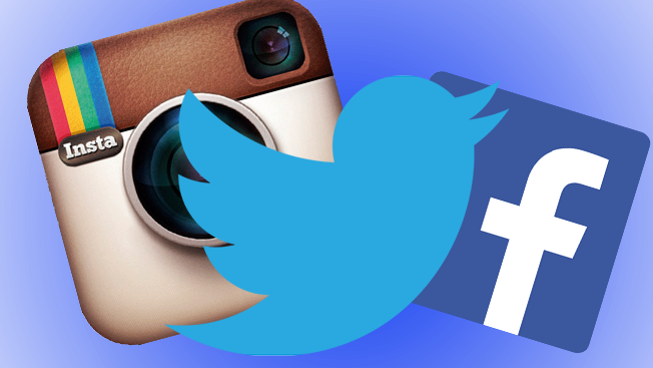 American politics has dominated social media these past few months, with Twitter and Facebook becoming public battlegrounds as Clinton and Trump fought their way to the White House. 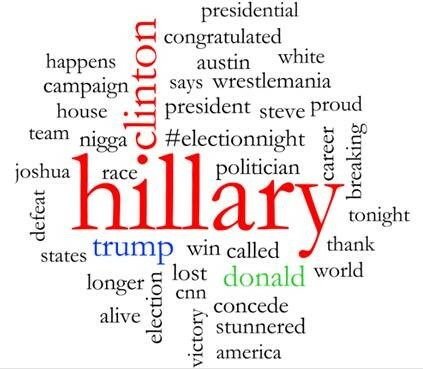 But how did South Africans engage with #Election2016? Here on home turf, we had our own wars being fought and our own battles being won. Our social media analysts tracked social media conversation in South Africa over the month leading up to yesterday’s election results. 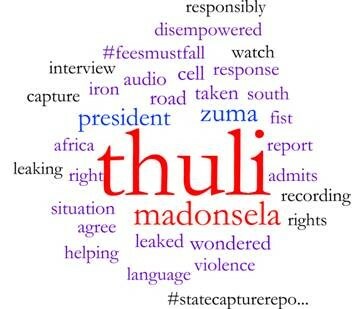 Turns out, our own local heroine Thuli Madonsela rivals Trump in local social media conversation, mainly due to the groundbreaking State of Capture report. 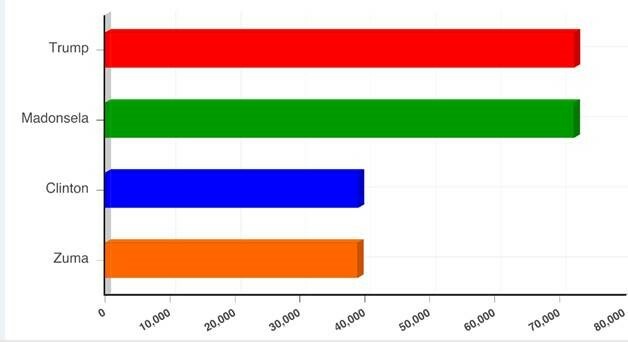 Social media mentions in SA from 10 Oct – 9 Nov 2016Conversation around Zuma and Clinton remained neck and neck. On the 2 November, when charges were dropped against Minister Pravin Gordhan and mass protests against President Zuma took place in Pretoria, local social media conversation around Zuma and Madonsela spiked. 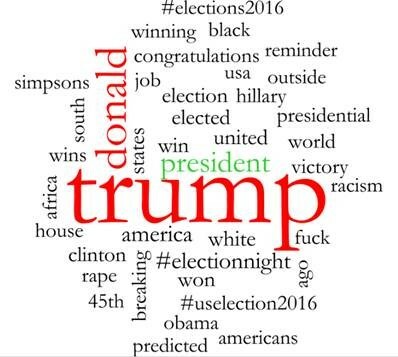 Still, Trump dominated South Africa’s social media channels on 9 November, as he took on the role of the 45th President of the United States. Conversation trends from 10 Oct – 9 Nov in South AfricaMost interesting, perhaps, is a snapshot of local conversation topics per candidate – providing some insights into South African sentiment. 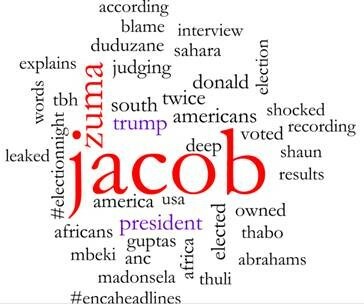 Conversation topics on Jacob Zuma from 10 Oct – 9 Nov2016 has been a watershed year in global and local politics, and social media channels have played a key role. 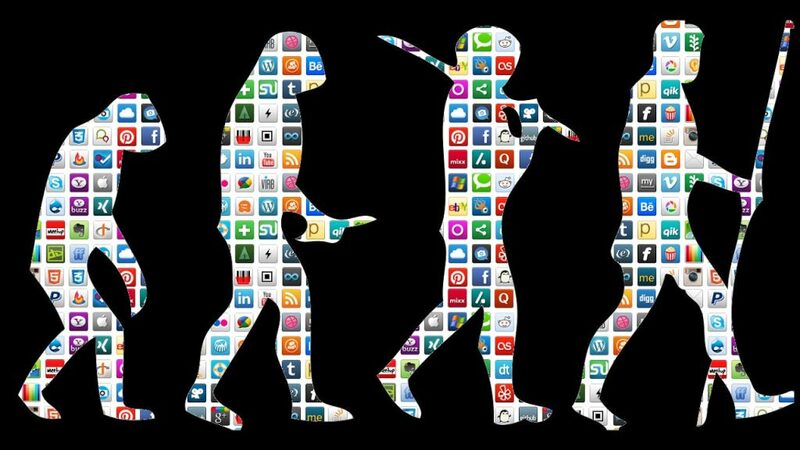 Not only do they serve as pivotal platforms for public discourse, they have also become a means of mass mobilization, a primary aggregator for news consumption and a powerful tool for political campaign. 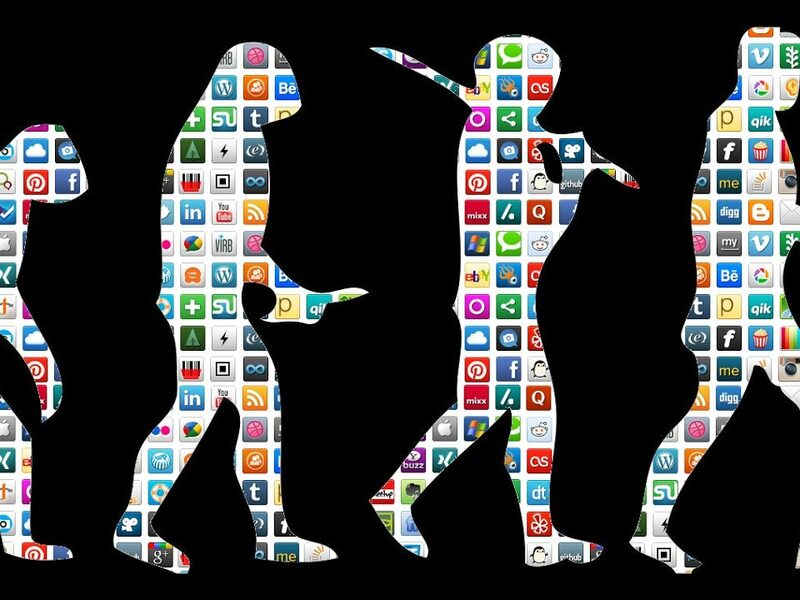 Never before has it been so important to track and listen to what the public are saying as they use these channels to express and connect.